Over the last few years, Pacific Gas and Electric Company (PG&E) has drastically shortened the solar interconnection process to an average of five days, compared to the overall industry average time of four weeks. The company has accomplished this by making a variety of technical and processing improvements. To date, PG&E has helped connect 200,000 solar customers to the grid, with most of this rapid growth taking place in just the last few years. PG&E’s experience and optimization processes offer valuable lessons for all utilities in reducing costs and improving customer satisfaction. Utilities can facilitate a smooth transition for new solar customers. One of the keys to success is improving the way in which customers experience interconnection. By making changes to its interconnection process, PG&E has reduced interconnection time by nearly 80 percent. Bottlenecks such as lengthy application and paperwork processes, and reviews, were causing system delays and required more staff time. In late 2012, PG&E conducted a multiyear overhaul of its interconnection process, by first eliminating unnecessary application requirements. It synched up teams to streamline and enhance the utility’s ability to respond to customer inquiries. As more residents adopted rooftop solar, automation improvements helped PG&E keep pace with the growing demand. For example, PG&E’s process went from 584 annual interconnections in 2001, to more than 70,000 new solar customers interconnected to date. This year, PG&E launched an online portal to speed the interconnection process. By piloting the program with solar installers, PG&E improved the simplicity of its online interconnection application system. The new online system allows customers to more easily and quickly submit an interconnection application by using simple questions and tips, auto-populating customer data, offering a free electronic signature option, and providing comprehensive error checking upfront. These features reduced the customer application error rate to 5 percent, down from 30-to-40 percent under its previous email-based process. At PG&E, simplifying the process, redesigning application forms and creating the online portal have been a critical part of allowing PG&E to greatly reduce the time and cost of processing applications — ultimately enabling PG&E customers to go solar more quickly. The first year for new solar customers can be exciting, but somewhat confusing when it comes to billing and monitoring usage. Therefore, keeping an open line of communication is important. A welcome kit that explains how the solar bill works and what to expect in the first year. Continued, targeted communications at key times throughout the year. A redesigned solar bill to help customers understand their annual charges and credits. A dedicated solar contact center with customer service representatives available to answer questions. An easy-to-use online portal allows solar customers to track their charges and credits throughout the year, and to tally how much money they have saved. As solar continues to become increasingly popular across many regions in the U.S., it is more important than ever for utilities to thoroughly diagnose the interconnection process, and to work more closely with solar vendors and other industry partners. Collaboration is key to helping utilities move toward improving their solar interconnection and customer service systems. By speeding up the interconnection process, moving resources and billing online, and alleviating bottlenecks with automated reporting, utilities will gain greater customer loyalty, achieve higher customer satisfaction and save operational costs. 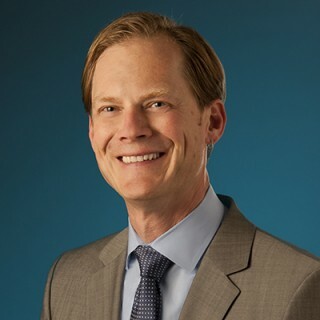 Aaron Johnson is PG&E’s vice president of customer energy solutions, and leads the company’s efforts to support broader adoption of solar across its 70,000 square-mile service area that serves 16 million Californians.